There’s a story behind this recipe. One with a happy ending. 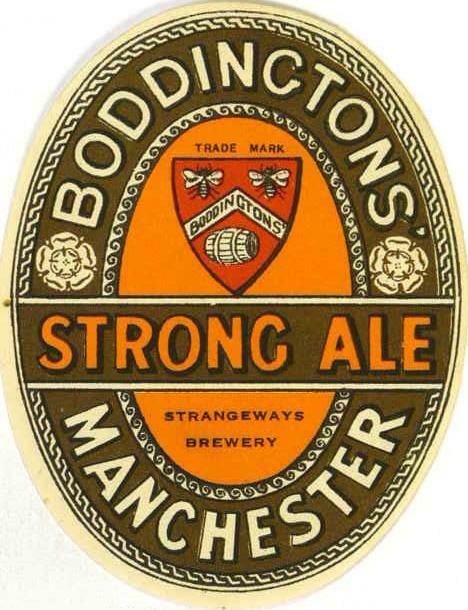 When I was in Manchester a few years back I went to photograph some Boddingtons records. I was really disappointed that all they had were a couple of books from the 1980’s. Then Boak and Bailey posted something about the difference between Boddie’s Bitter in the 1960’s and the 1980’s. I immediately emailed them asking where they’d found the 1960’s brewing log. It turns out there are a lot more Boddington’s brewing books. A full set from 1900, in fact. Which is brilliant news. It turns out they were in the process of moving when I visited the archive and not everything was available. I’m already penciling in a trip to Manchester. Boddington had weird beer names before WW I. A was Pale Ale, BB was Mild Ale and CC was their Strong Ale. I can’t really detect any logic there. It’s been suggested that their CC might be the origin of “C” Ale, a strong beer exclusively brewed in the Manchester area. Could be true. I haven’t got a better explanation. This is probably the quickest I’ve gone from getting hold of a record to publishing a recipe. I haven’t had my hands on it a week yet. I was so excited I had to rush it out. The only unusual feature of the grist is the presence of wheat malt. In this period they put it every one of their beers. Could be a head retention thing. In their Stout it made up 12% of the grist. Which is quite a lot. Don’t think I’ve ever seen that much in a British beer. Otherwise it’s a typical 20th-century Strong Ale or Mild: pale malt base, a touch of crystal malt, flaked maize and sugar. If you’d shown me just the recipe I would have said it was a London-brewed Burton. I’m not sure if there was a draught version at this date. It’s possible that it was only available in bottled format. That’s me done, time for the recipe. Looking forward to seeing the Boddington's Bitter recipe. The SRM and IBU seem off? I come up with a SRM of 18.5 and 71 IBUs for the recipe in Beersmith. I'm usually pretty close to IBU and SRM for your recipes. I forgot one of the hops in BeerSmith. But it still only comes to 62 IBUs. I think my caramel is darker than yours. What is Caramel? I see that is already has Crystal... And invert 3, what would that be? Sorry for my lack of knowledge! burnt sugar. It's just for colouring. So literally caramel! I thought it might be but then thought that it could be a different crystal malt. With the invert sugar, would 3 be treacle? 12% is more than a touch. And I believe 1318 is not Boddingtons.